Mary E. Burman, PhD, FAANP, is dean and professor of nursing at the University of Wyoming (UW). She was a Robert Wood Johnson Foundation (RWJF) Executive Nurse Fellow from 2007 to 2010 and coordinates a nurse education and leadership project that is supported by Partners Investing in Nursing’s Future (PIN), an initiative of RWJF and the Northwest Health Foundation. Human Capital Blog: The Institute of Medicine (IOM) calls for a more highly educated nursing workforce and, in particular, for 80 percent of nurses to have bachelor’s degrees by 2020. What is the educational level of nurses in Wyoming? Do the state’s health care organizations prefer or require that nurses hold baccalaureate degrees? Mary Burman: Wyoming, like many other states, and especially like many rural states, faces significant challenges in obtaining the IOM goal that 80 percent of nurses hold bachelor’s degrees by 2020. The Wyoming Center for Nursing and Health Care Partnerships (WCNHCP), home of the state’s nursing workforce center and Action Coalition, has developed estimates for the current number of nurses with baccalaureate degrees (BSN) and has made projections over the next four years. We estimate that 36.9 percent of registered nurses (RNs) in Wyoming currently have baccalaureate or higher degrees. However, that percentage will not increase significantly over the next four years; in fact it may actually drop, given the number of new RNs with associate degrees in nursing (ADNs) and the number of nurses who are preparing to retire. In a state with fewer than a dozen doctoral nurses, the Wyoming Center for Nursing and Health Care Partnership is working to revitalize nursing education programs as part of its effort to implement recommendations from the Institute of Medicine report, The Future of Nursing: Leading Change, Advancing Health. 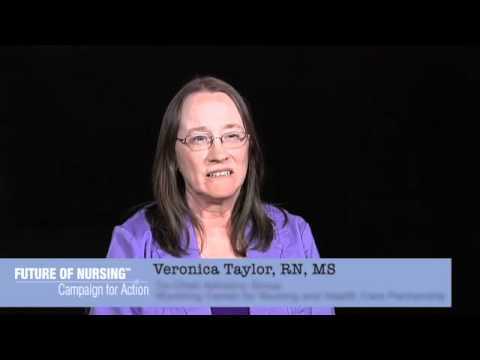 This video is part of a series released by The Future of Nursing: Campaign for Action highlighting the goals and the ongoing work of some of its state-based collaborations, called Action Coalitions. Watch Veronica Taylor, RN, MS, and Brad Westby discuss the unique challenges in their state and how they’re working to implement change.